Professional contractors come to Big Creek Lumber for the quality products they need to get the job done. Helpful one-stop shop for homeowners and DIYers for lumber and building materials for any type of project. 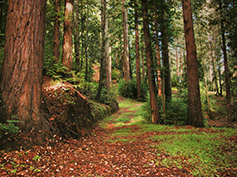 Bulk redwood and Douglas fir sales to distributors, resellers, and re-manufacturers in full unit and truckload quantities. We practice sustainable forestry and work with landowners on timber land management, harvest plans, and operations. We welcome all customers from weekend warriors and DIYers to professional contractors to lumber resellers. 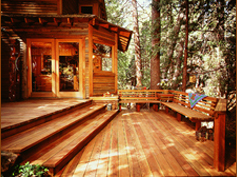 Our lumber and building material selection is varied to fit any size project. We love hearing about what our customers build with our products. Check out the Project Showcase for some beautiful inspiration or maybe you built something with Big Creek products that you’d like to share. We’re all ears! 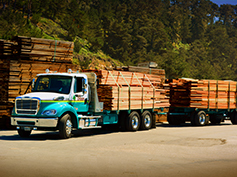 At our sawmill in Davenport, CA, we mill approximately twenty million board feet of redwood annually. We operate a logging operation, forestry department, wholesale division, sawmill and five retail lumber yards. 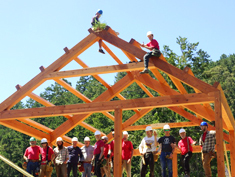 Big Creek Lumber strives to be a good business citizen and contributor in the communities we serve.